published in the Winter 2018 edition of Room, the space magazine. ITACCUS seeks to promote and facilitate the innovative utilisation of space (data, systems, applications) by organisations in the cultural sectors of society internationally, including all areas of the arts and humanities, including the fine arts, entertainment, popular culture and tourism. 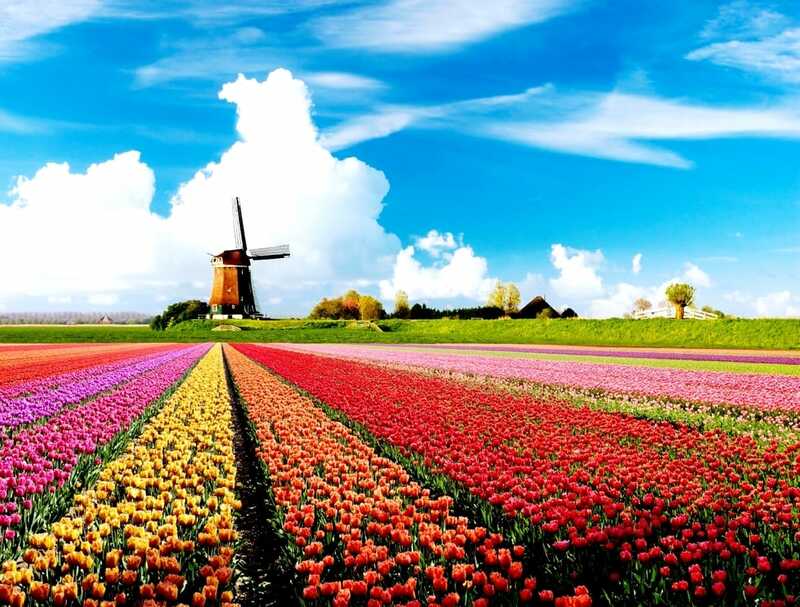 In a cultural context, it may include cultural production, cultural preservation, cultural representation, cultural education and cultural development. Advocacy – promoting, developing and raising the profile and quality of ‘cultural utilisation of space’ within the space community and within the cultural community internationally, and with the general public. 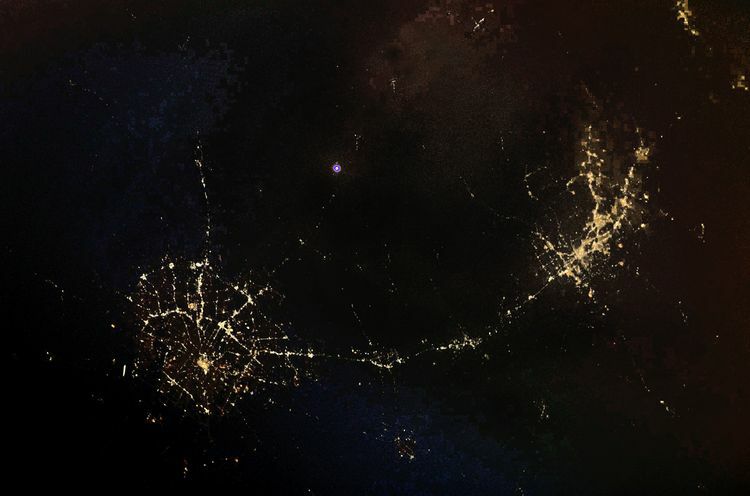 to challenge the traditional view that space activities are owned by national space agencies and the private sector. ​shaped the way we envision our future on Earth and beyond. in the arts and in politics; and yet these are also philosophical and personal questions. created the traveling exhibition Our Place in Space which first showed from February to April 2017 in Venice. Using contemporary and local artists of the hosting country, the exhibition reinvents itself at each destination. Aoife will deliver the Make Your Mark workshop she developed during her residency at the European Space Agency, to this years Space Studies students. Participants of the workshop will complete exercises and activities that introduce creative and conceptual ideas from Aoife van Linden Tol's artistic practice. The workshop will discuss the concepts of 'making a mark' in the context context of both historical impact of scientific work, of physical cosmic impacts the Universe and how the significance of such events continue reveal themselves over time. The group will choose and prepare documents, papers and print material which they will use to design an artwork which will then be subject to physical impacts and burning. ETHEREAL THINGS: Join us for a special evening of performance, film, talks and music that aims to make the physics of the universe intimate and inspiring. With artists Annie Carpenter and Aoife van Linden Tol, film-makers Semiconductor, dark matter physicist Chamkaur Ghag, cosmologist Richard Bower, and Newcastle band Spacegong. Spectacular cosmological visuals provided by the Institute for Computational Cosmology, Durham University. BREWING UP A STORM: Exploring the intimate connection humans have with explosions in the universe and how this phenomenon enhances the human condition. Using her artwork and philosophies of her practice as a starting point for the lecture Aoife van linden Tol invites you to embrace chaos and the unknown. 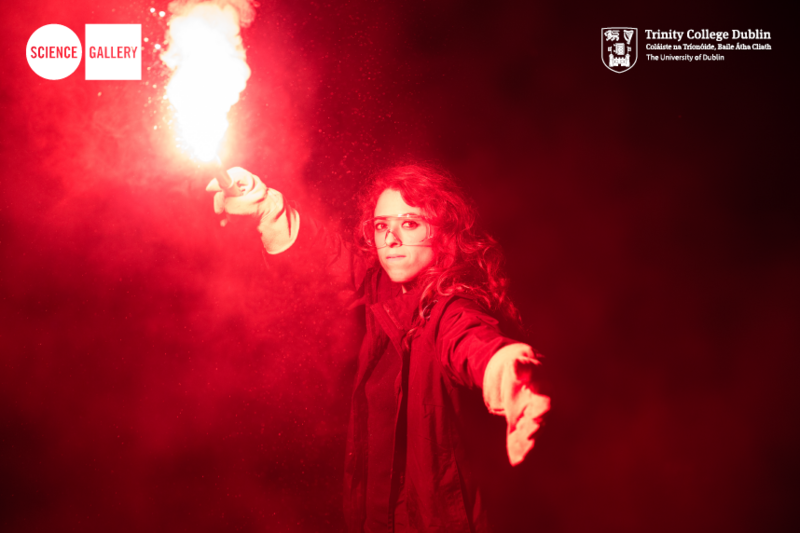 Parliament Square, Trinity Collage, Dublin will come alight as artist Aoife van Linden Tol sets of three distinct explosions to celebrate the Dublin Science Gallery’s 10 year anniversary. Performers navigate and explore unknown territory and come to terms with the volatile yet beautiful world they discover. 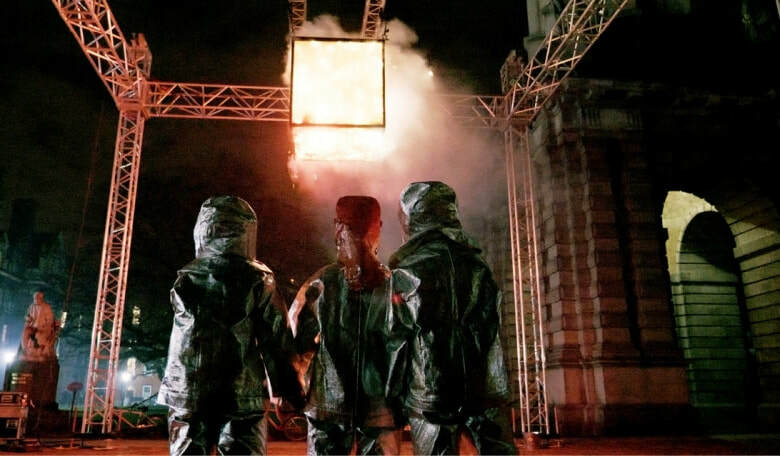 The site specific explosive art installations are inspired by the phenomena of the stars as well as the unique features of the square and surrounding buildings. These stunning series of fleeting yet powerful works poetically reflect the Science Gallery’s brave program which aims to challenge norms, explore the unknown, ask difficult questions and involve the public in the joy and debate around art, science, technology and human progress. After completing her term as Artist in Residence at the ESA and Ars Electronica during 2017 Aoife van Linden Tol is back at ESTEC to present the project outcomes. Aoife will share her experiences, show the resulting art work STAR STORM which was produced for Ars Electronica Festival 2017 and talk about some of the projects which have stemmed from the residency. 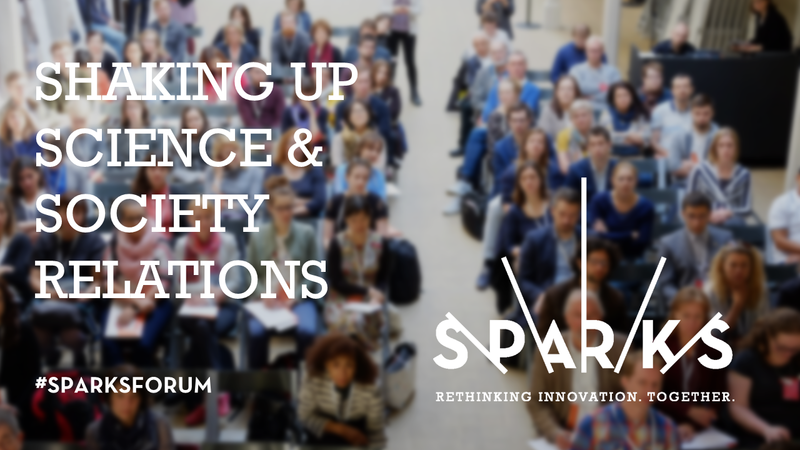 Aoife van Linden Tol will be joining Greg Boustead, Prof Alex Milton and Prof Jane Ohlmeyer in a plenary session at 14:00 at SCI:COM 2017 to discuss the value of collaboration between STEM research and art. Aoife van Linden Tol will be delivering a lecture to the Master of Space Studies (MSS) students which will teach key working methodologies and conceptual processes which will help them to work in an industry where imagination is key to creating sustainable futures for humankind in space. space culture that they can all be a part of developing. 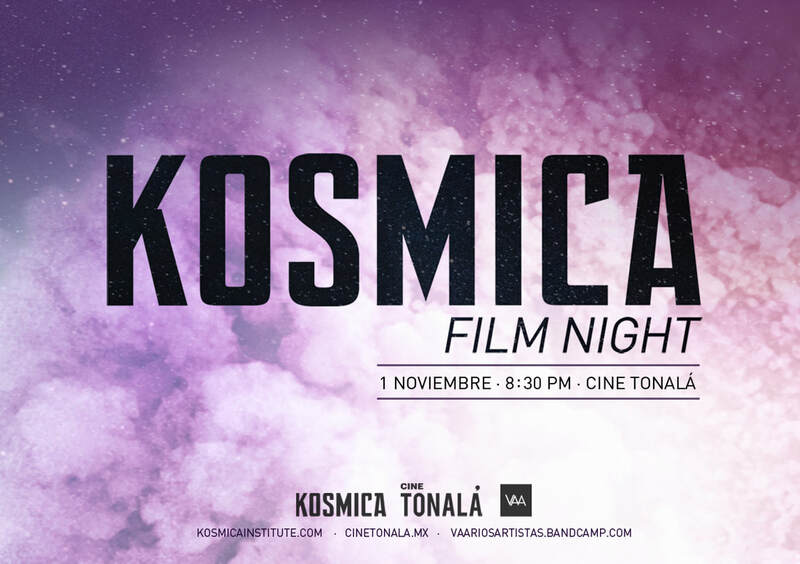 Kosmica Film Night in Mexico City this winter. artist residency at the European Space Agency and Ars Electronica Futurelab 2016-17. Art and Science Residencies – Just a "Fly-by" or really a "Rendezvous"? STARSTORM is a spectacular explosive performance describing the processes of the stars. Using research from the ESA about the composition, life cycle, magnetic behaviour and light production within stars, including our Sun, Aoife van Linden Tol has designed a powerful and beautifully poetic site specific performance. Using a range of explosive materials, each explosion abstractly represents a specific process or phenomena taking place, every moment, in stars all across the universe. The audience will be led on a journey around the venue and through a wonderful contrast of energy from exciting to meditative, from durational to instant, from order to chaos. Star Storm aims to create unique and lasting experience, giving insights into the universe we live in and inviting audiences to reflect on their own place within it. 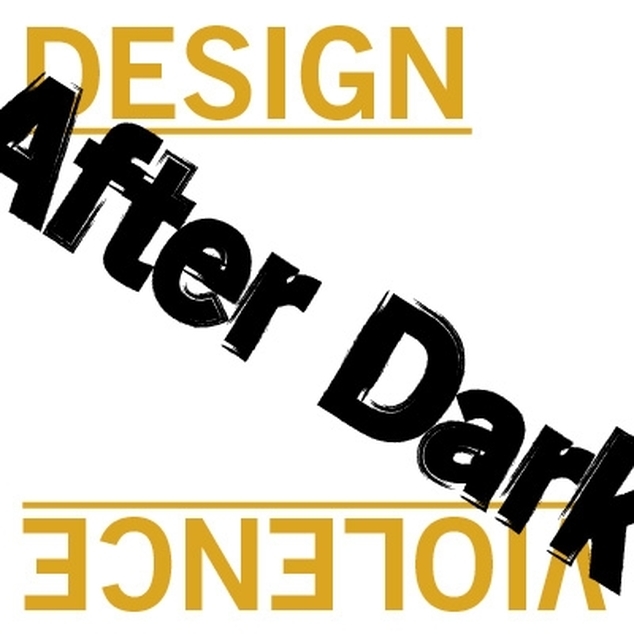 Aoife van Linden Tol (IE) takes part in the first artist-residence hosted jointly by Ars Electronica and the European Space Agency (ESA) in the Framework of the European Digital Art & Science Network. The Irish media artist had the extraordinary opportunity to work together with ESA scientists and experience the landing of the Rosetta Space Probe or the ExoMars Mission live on site at the European Space Research and Technology Centre (ESTEC) in Noordwijk, The Netherlands. 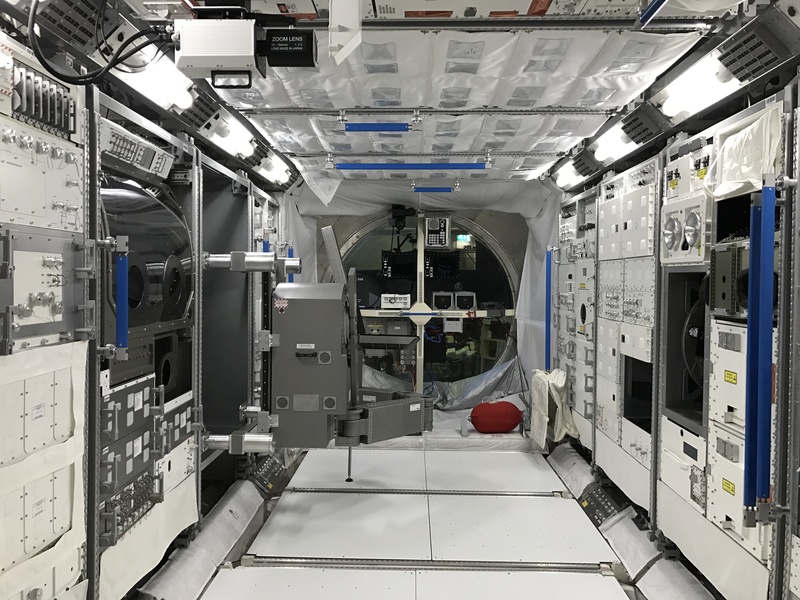 Following her thrilling sojourn at the ESA, she is spending a couple of weeks in Linz, where the Ars Electronica Futurelab’s staff will provide support as she realizes the project inspired by her visit to the ESA. During the presentation she will share insights in the residency and her work in general. Exact Date and Location of Star Storm performance tbc but further information about the festival and festival tickets here. Aoife van Linden Tol will design a powerful and beautifully poetic explosive performance. every moment, in stars all across the universe. Each section of the performance will be be varied and distinct. from durational to instant, from order to chaos. Reflecting the universe we live in and the discoveries we have made about it. Star Storm aims to unique and lasting experience which will give audiences insights into the very nature of our universe and their own place within it. Participants of the workshop will complete exercises and activities that introduce creative and conceptual ideas from Aoife van Linden Tol's artistic practice. The workshop will discuss the concepts of 'making a mark' in the context context of both historical impact of scientific work, of physical cosmic impacts the Universe and how the significance of such events continue reveal themselves over time. The group will choose and prepare documents, papers and print material which they will use to design an artwork which will then be subject to physical impacts during a live event in the Wintergarden the following week. Using the Making Your Mark concepts guests are invited to a participatory event in which they can collaborate in creating a limited edition artwork that they can take home with them. The audience will also witness the artist and attendees of the previously held workshop creating a few larger works. These will be exhibited in the Wintergarden, ESTEC on Thursday 18 and Friday 19 May. Can Artists And Creative Practitioners Help To Shape The Future Of Humankind In Space Beyond Design? Aoife van Linden Tol will be attending the 67th International Astronautical Congress held this year in Adelaide, Australia to present the findings of her current research paper, ‘Can Artists And Creative Practitioners Help To Shape The Future Of Humankind In Space Beyond Design?’ during the Public Engagement in Space through Culture Symposium chaired by artist Nelly Ben Hayoun and Lisa Antoniadis. Attendance is free. Capacity is limited so RSVP is essential due to H&S. RSVP: rsvpalmacollective@gmail.com stating which date you would like to attend. As part of their creative season, Ugly Duck HAS invited Lumen for the unique event School of Light. School of Light presents artists that explore the relationship between astronomy and light. The award supports Aoife in developing her international career focusing on the Netherlands, where her residency with the ESA and Ars Electronica is predominantly located. 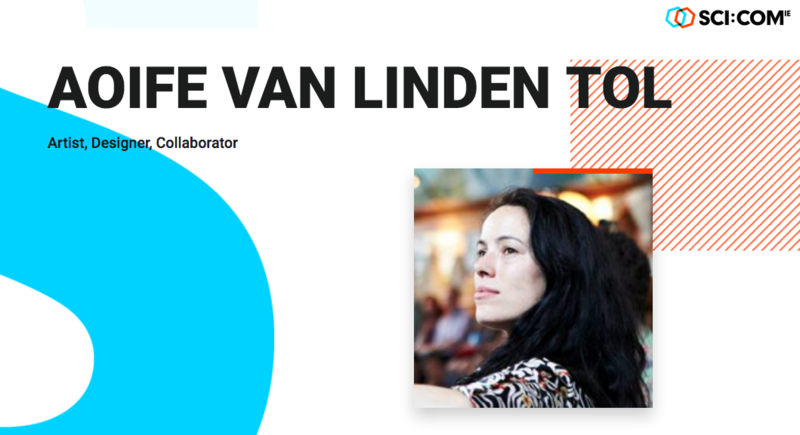 As part of the time she will present a talk and two workshops in Amsterdam, attend a 3D modelling workshop and visit art institutions and meet curators and art festival organisers across the country. She will also receive mentorship and support in developing her career in the country from her hosts at the Art Kitchen gallery. for her first visit and tour of the facilities ahead of the main residency term. Aoife presented a talk alongside Maria Pfeifer from Ars Electronica Futurelab to new research fellows. Aoife Van Linden Tol, the first artist In residence hosted jointly by Ars Electronica and the European Space Agency will lead an interactive exercise and exorcise of the mind. Participants will run through fast-paced activities using visual material which explores how our thoughts can run away with us and how it is possible to take control and re-train the mind using artistic processes which incorporates both psychology and ceremony. Aoife van Linden Tol will be present at the closing reception to answer questions about her work. You can also join her and a small informal group, after the main talk, to discuss the science of light and how it illuminates the world as we know it. 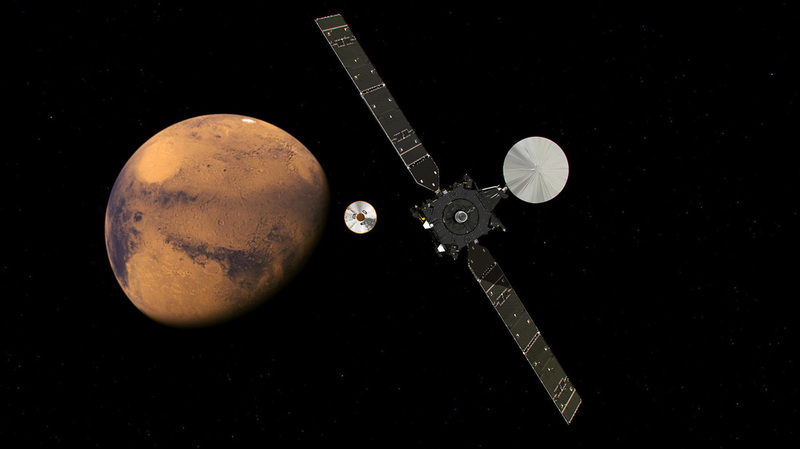 Next week Aoife van Linden Tol heads to the European Space Agency ESOC control center in Darmstadt, Germany to experience the Mars Exo landing beside the scientists and engineers as they work. Join the team by watching the live stream 13:00–15:15 GMT / 15:00–17:15 CEST on 19 October. Aoife van Linden Tol will kick off the Art+ conference organised by the Frankfurt Bookfair, about my work the ESA residency and my experience later today watching the ExoMars landing. I will be joining a panel with members of the Ars Electronica team as well as ESO Residency winner Quadrature. I am sure I will be buzzing after today, so hopefully I will still make some kind of sense! Over the next year Aoife van Linden Tol will spend six weeks working with scientists at the European Space Agency ESTEC in Holland researching the physics of stars and our Sun in particular. 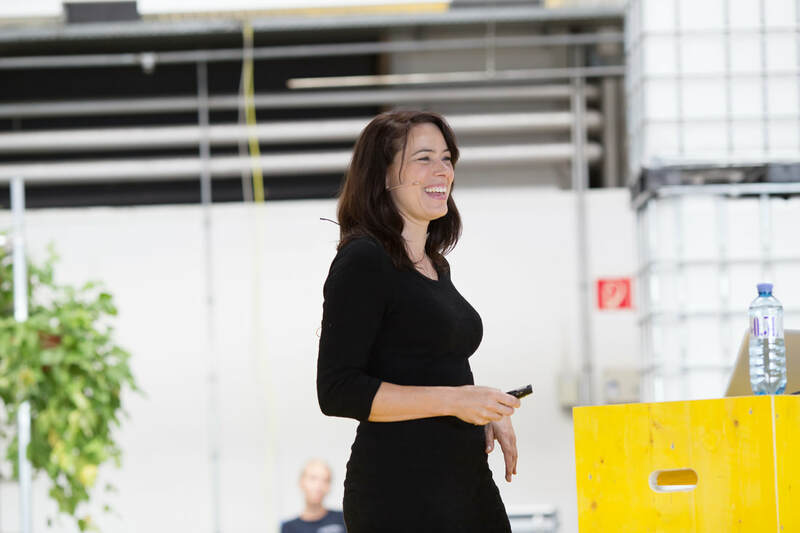 She will then spend a further month at Ars Electronica Futurelab where she will experiment and develop her winning project Star Storm which will comprise of a series of explosive performances based on her research. The project will then be exhibited at Ars Electronica Festival 2017. Aoife van Linden Tol's light work Spectra Argon will be showing at LOS group show. During Space Week a Blackrock Castle Observatory will attempt to take detailed photographs of the moon which will be sent to Aoife van Linden Tol to inspire a new art work. BCO have telescopes located in located in Cork, Ireland & California, USA respectively. Interested in the moons role as a reflector of the Suns light Aoife hopes to incorporate diagrams describing this journey of light from the Sun takes as it travels through space and reflects off the moon to light Earths night sky. 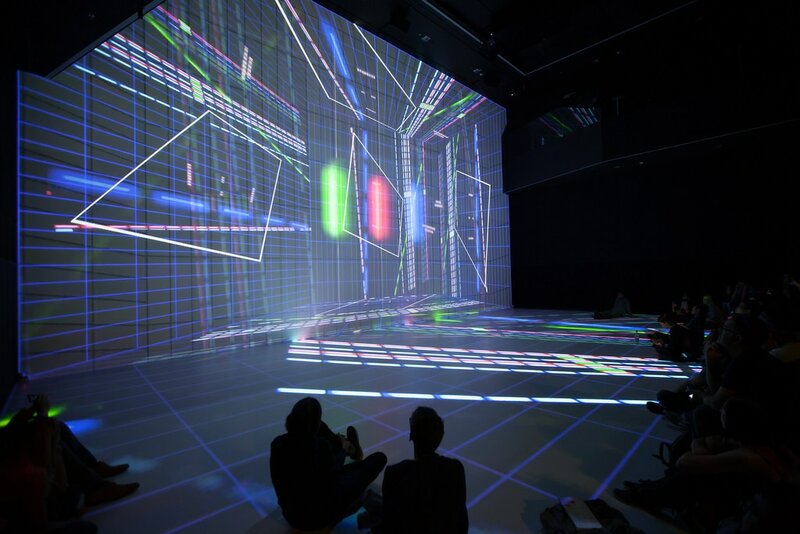 ARS ELECTRONICA: RADICAL ATOMS, LINZ, AUSTRIA. Aoife van Linden Tol invites the residents of Linz to submit material for the second incarnation of her project Second Story which will take place at Ars Electronica Festival 2016. The project explores the influence of words and images to create an explosive force within each individual as well as the emotional responses created when presented with literal physical explosions. The universal nature of both these this phenomena inspired Aoife to create a project which allows many people to continue their own dialogue with explosive forces. First realised in Berlin in 2007 Aoife has long wanted to continue the project in other cities across the world. She hopes to uncover some of the collective and individual emotions and ideas of those living in Linz. Aoife’s explosions in books and on paper create beautiful and often delicate accents, creating a mark or damaging the piece whilst keeping the integrity of the original object. The objects will not be destroyed completely.